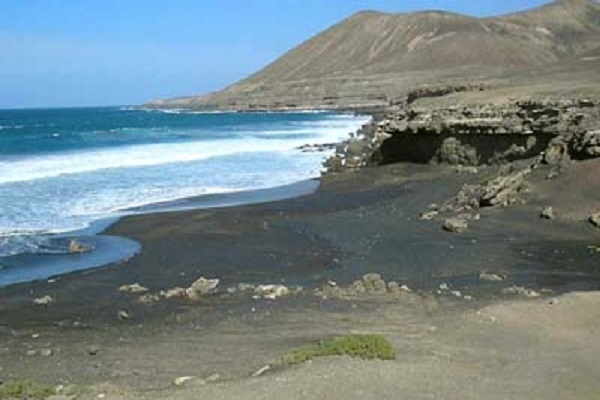 Following the road that goes to La pared from Pajara, nearly 2 km after the junction for Ajuy, there is a dirt road on the right leading to this beach, the road is cut into the bed of a stream that is formed only when it rains. .. a very rare thing, but be careful in the “winter” months. The beach is not crowded, there are services such as bar and/or restaurant, so plan. The sand is black volcanic grains with silver glinting in the sun. A little further on there is Playa de Garcey where it was beached ship American Star in ’94, there was nothing left, you only see the ruins at low tide.